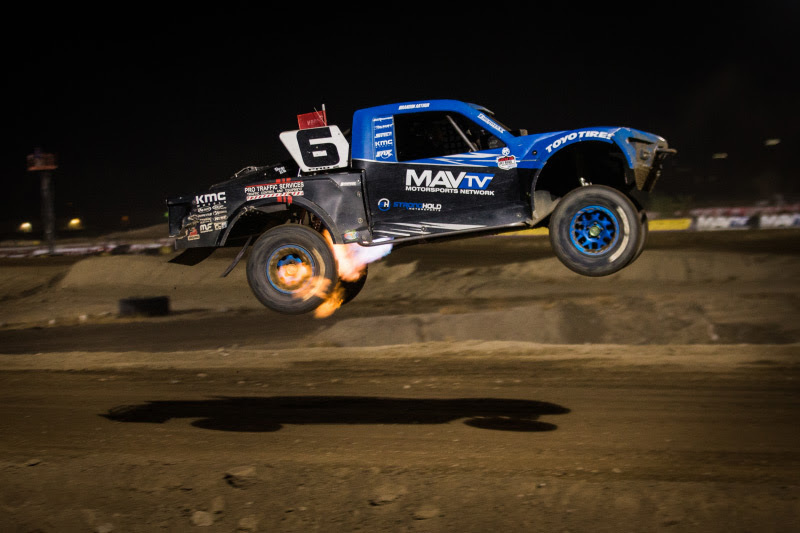 Professional off road racer, Brandon Arthur has what it takes to run with the best. Known as a multi-talented driver with skills to race just about anything, Arthur verified his ability by leading 10 laps in the sports top tier Pro 2 division. Short Course Racing is one spectacular motorsport featuring fierce door-to-door competition and anytime you can make moves to pass and run at the top it should be recognized and highlighted. 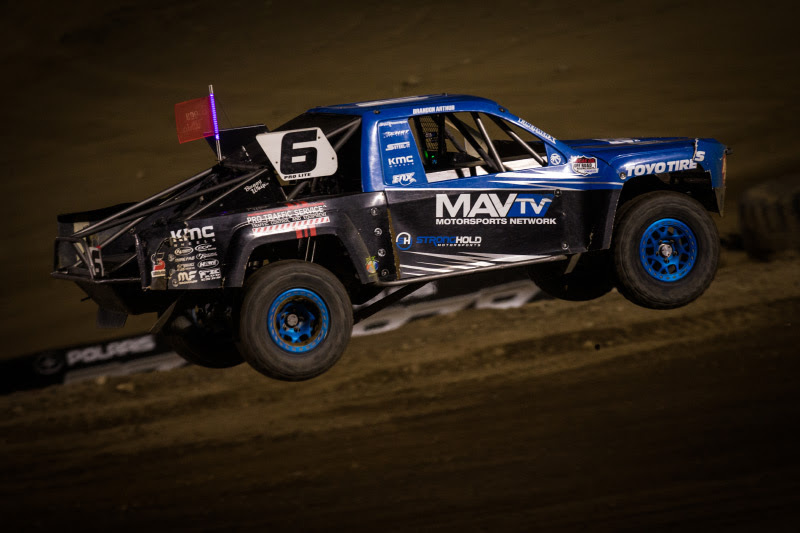 Brandon primarily campaigns the MAVTV, Stronghold Motorsports, Pro Traffic Services, Toyo Tires #6 Chevy Pro Lite in the Lucas Oil Off Road Racing Series (LOORRS). Holding 2nd in the 2018 points, Arthur has finished Top 5 or better including seven podiums and one race win. 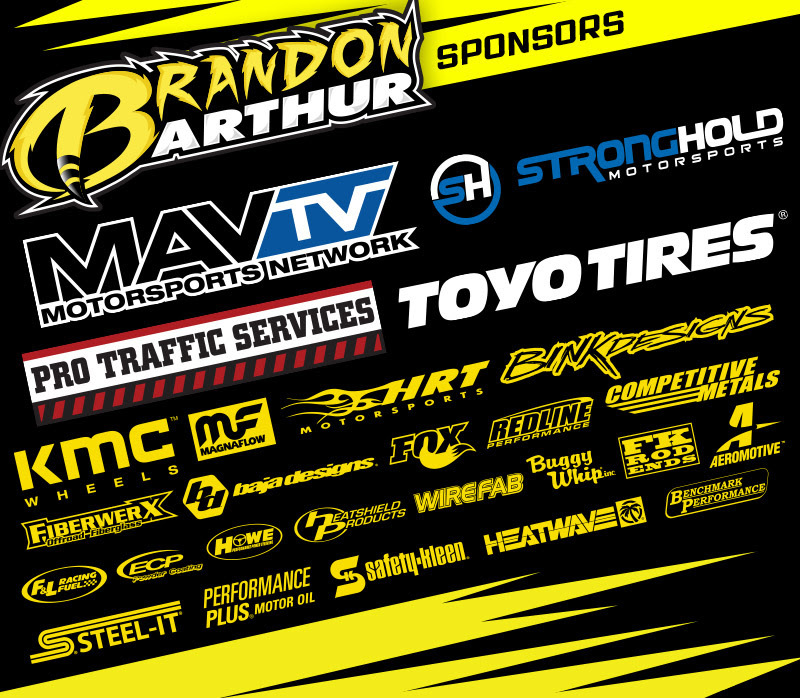 Brandon is very much in contention for a Pro Lite Championship. 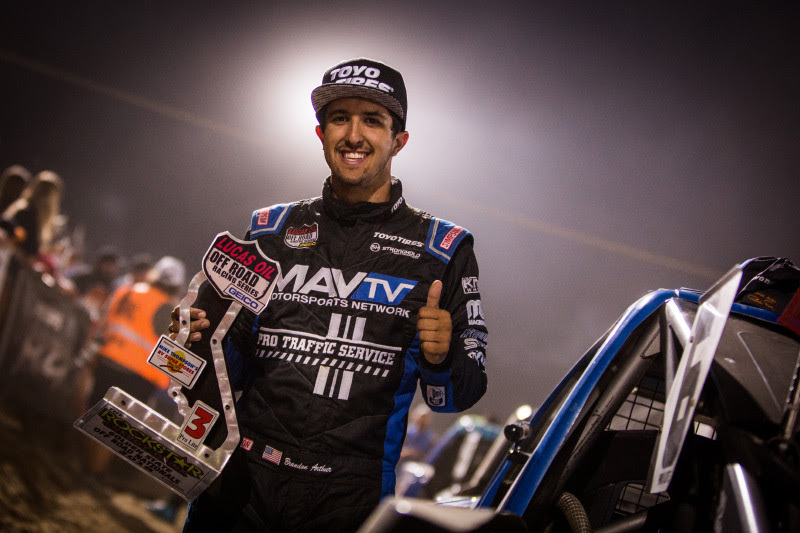 For this weekend, Stronghold Motorsports tapped Brandon to pull double duty and run the MAVTV Pro 2 in Rounds 9 & 10 at Glen Helen Raceway in San Bernardino. 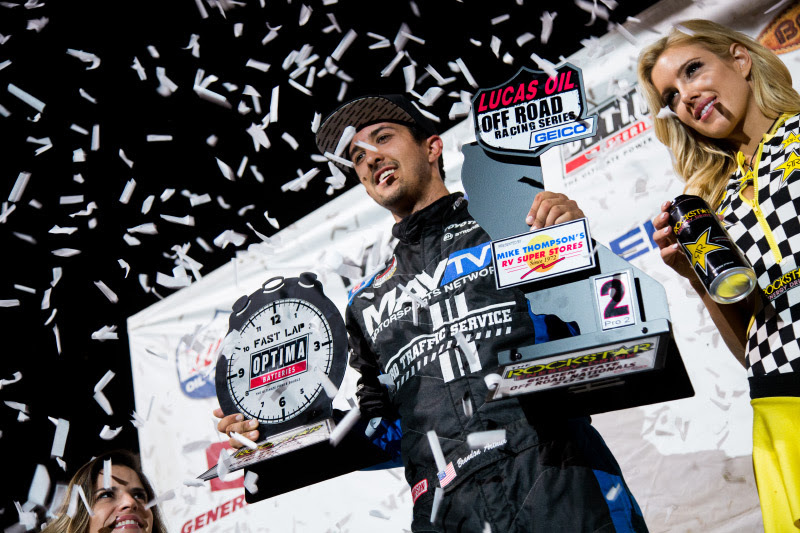 Having raced the Pro 2 truck only once early in the season, Arthur was fully amped up and considering the scheduled called for night racing, the conditions were electric. Sometimes you get a feeling and know things are just going to click. Opening the show with the first big pro race all year, in front of the So Cal crowd, all adds up. Some people crack, and some people thrive. Brandon is one of those who establish their best performances under pressure. 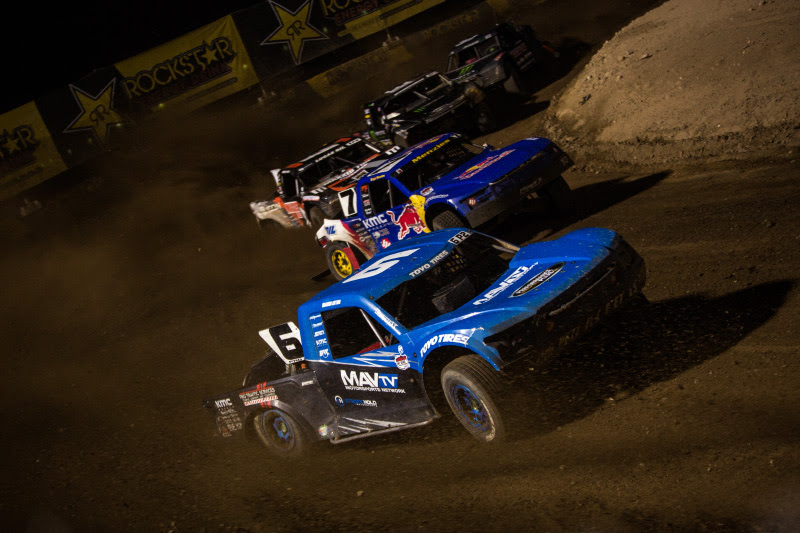 Shortly after opening ceremonies, and the crowd on their feet, the race official dropped the green flag and released fourteen fire breathing Pro 2 Trucks. Arthur, starting in the third row back in 6th place, was able to jump through the field passing Jeremy McGrath, Jerett Brooks, and Bryce Menzies in one single maneuver. This positioned the #6 MAVTV Truck in second place behind Bradley Morris in the #24 K&N Pro 2. There was a truck that got hung up on a k-rail, so LOORRS officials called for a caution to get it off the track. On the restart, Morris fumbled going wide in Turn 3 which Brandon picked up and ran away with the lead. For the next 10 laps including the Competition Caution, Arthur would race up front leading the sports very best. On Lap 13 in Turn 2, Brandon slightly over rotated in the middle of the race lane. Morris, Menzies, McGrath, and Ampudia all swooped by before the MAVTV #6 Pro 2 could get pointed down track. Now back in 5th place, Brandon some how went from a dead stop, re-composed himself, got back up to speed, and made moves back up to 2nd all in the last 3 laps. It was a very exciting race! Brandon’s main focus of the weekend was to finish well in the Pro Lite division and pick up points to close in on Ryan Beat who is looking for his first short course championship. Before Round 9, there was 31 points separating the two. Between top qualifying times, leading at the race’s competition caution, and finishing position, there are many available points for those who are racing for a championship. Brandon was able to score 1 extra point for qualifying in Round 10 whereas Beat set the pole on Friday and was again quick on Saturday earning a total of 8 extra points. Unfortunately, the #51 truck did not fair to well in Round 10 with a DNF. Arthur closed up 18 points on Ryan and now is separated by a gap of 13. 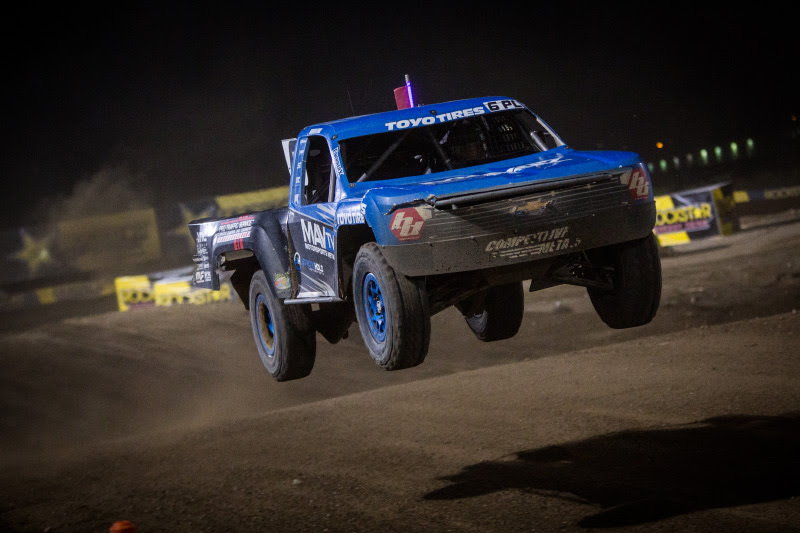 The 2018 season features one remaining round in Chandler, Arizona at Wild Horse Pass Motorsports Park on October 20. 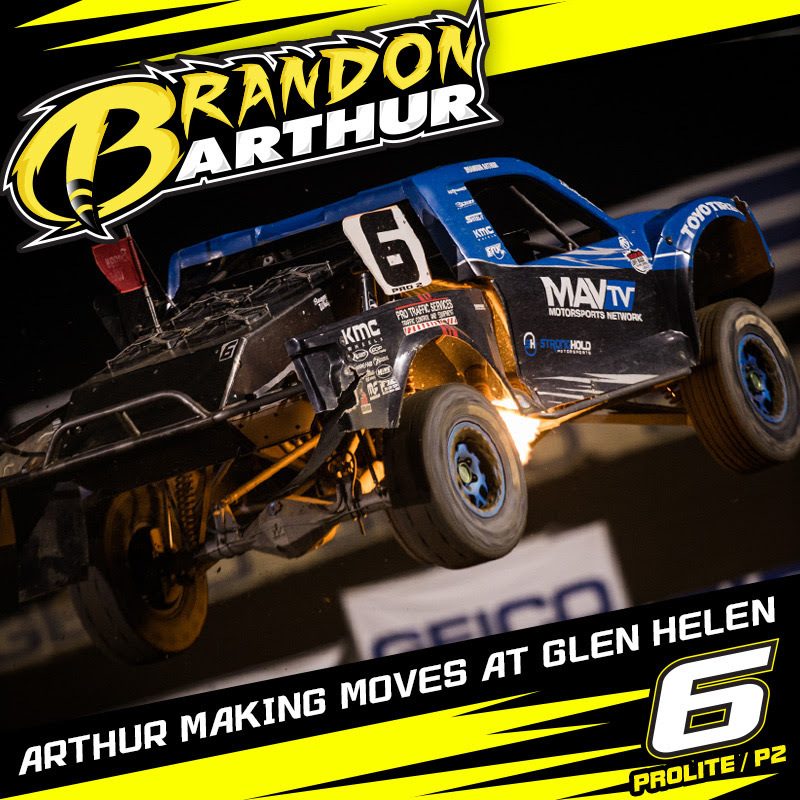 One thing is for certain, Short Course Off Road Racing could go any way and a Pro Lite Championship could be had for Brandon Arthur.